The whiskey is innocent! But CNN is not. 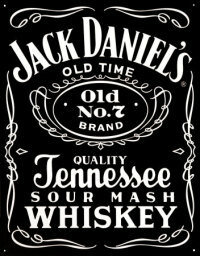 Jack Daniel's at �Synthstuff. Don't do it - it's perfect for a fine Christmas�eggnog. They should consider the poor, who can't afford a bottle of Jack for their eggnog. Maybe this CNN story has legs, after all.�Another Rathergate? Media people are scared of Hill and Bill: if you give them a hard time, they will never grant you another interview. Not just collusion - ratings. Still, I suspect CNN�could be�violating McCain-Feingold. And so will I, if given half a chance to do so on Maggie's Farm. Sue me: I have 200 smart�lawyer friends here in Hartford, CT., and we will tie you up in court for a lifetime and cost you a bundle. Doing what?� We are making our venison�mincemeat pies tongiht, for Thanksgiving, and for our friends. Aged for�four weeks. The smell from the kitchen�is amazing. Lucky friends. Ten to give, and two for Thanksgiving here for the beloved relatives. And we are not making pumpkin pies - we are going to make Butternut squash pies from winter squash from the garden. The challenge is to get the moisture out of the cooked squash so�it's not to watery and bland. JD has a wonderful talent at this time of year. Any spice cake, bread, or pie is much approved with a little pour into the mixture! Also, would like to buy a truly wonderful bottle of Scotch for a friend--what do you suggest? Approx price range $120. The 18 year old Glenmorangies or Macallans are quite good and should be about that price. Me thinks you stretch the smart award. Der mabe 200 less than smart lawyers in all of Connecticut but their dress style is not being considered. Now, smart dressed fire fighters should raise, stay focused, concern amongst elite lot. IAFF backs Senator Chris Dodd. You all ought be pulling real had for Hikllbillary who can't beat any real Republican. I bake the buttenut squash, with forkholes to let the steam out, and after cooking it scoop out the seeds and pulp. THis intensifies the flavor and keeps it from getting watery (I do the same thing with our pumpkins, but find the butternut squash is tastier and richer. Also, very few pumpkins ever survive the borers or squash bugs in our organic garden, and the varieties that are resistant are not especially tasty. Whereas butternuts are yummy and resistant...We have a three foot shelf loaded with them, one a week til spring! D__n it B! I just got all of my ingredients put together, and now I can't find that dang recipe you and I agreed we would try!!! Can you forward that to me again.It is not one of the three on the site--it was in our 2007 response, but it is not there now!! Good Luck! Cook the squash however is easiest. Mash. Strain with coarse sieve over bowl for an hour or so. Take juice from bowl and boil down to 1-2 Tablespoons. Will be candy-sweet. Return to mashed squash.